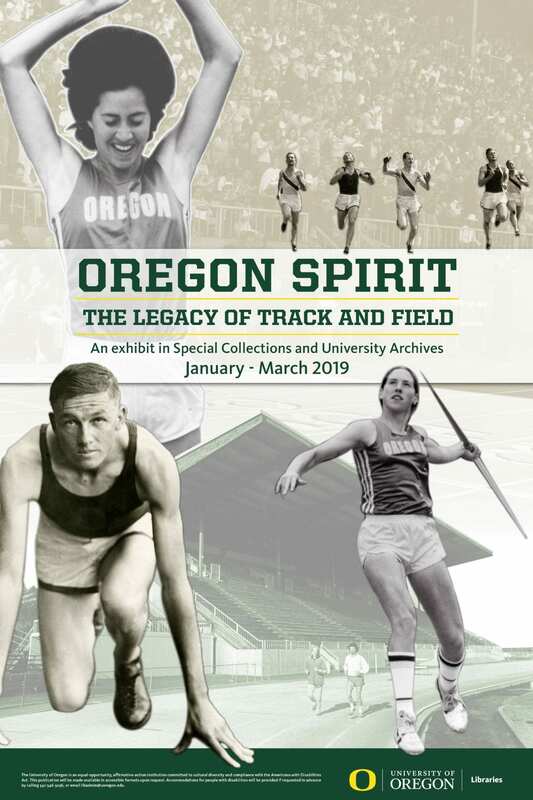 In honor of Native American Heritage Month the University of Oregon Libraries is pleased to announce an exhibit titled, Wy-Kan-Ush-Pum: We Are All Salmon People. This exhibit honors Oregon’s tribal communities and their traditional cultures, knowledges and lifeways that have sustained them since time immemorial. We first recognize and honor the Kalapuya people, who were the original indigenous inhabitants of the Willamette Valley, including the land that the University of Oregon resides. We are honored to now have the new residence hall, Kalapuya Ilihi Hall, named in honor of those who were here first and in recognition of their traditional homelands. All of Oregon’s tribal communities share a common connection to their traditional homelands and natural resources provided by the creator that sustains life for their people. 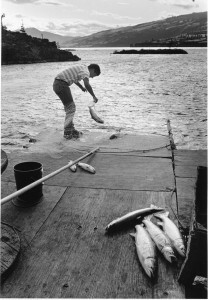 This exhibit highlights the tribal cultures along the Columbia River Basin that have a distinct sacred connection to salmon that has shaped their culture, diet, societies and religions for thousands of years. 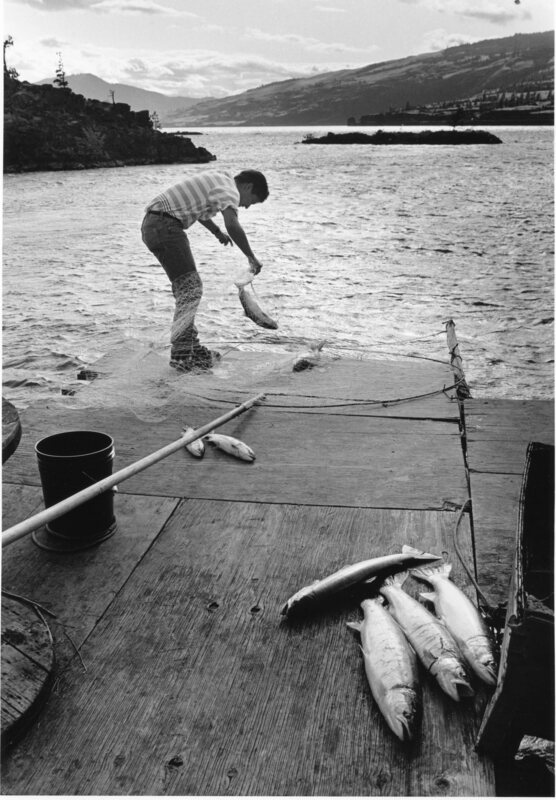 Salmon, or “wy-kan-ush” in the traditional language of Sahaptin, are revered as sacred and one of the most important aspects of tribal culture.